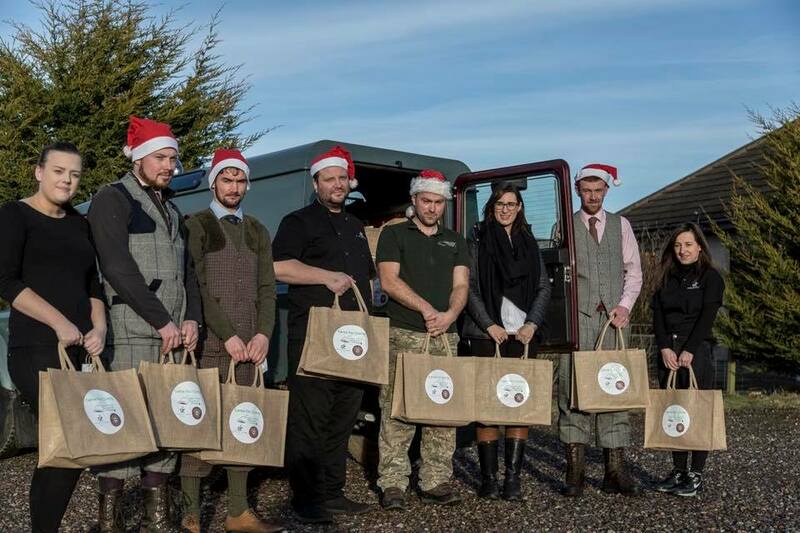 Gamekeepers and estates across Angus and Grampian have teamed up to provide meals of fresh local game for over 550 homeless and vulnerable people this Christmas. Over the past year Angus Glens Moorland Group and Grampian Moorland Group have been working with several community causes to supply healthy, free-range game meat to those with limited opportunities to try it. With the festive season now approaching, group members have been working to deliver to charities oven-ready pheasant and partridge, reared in the fields and woods of local glens. Fresh venison and rabbit from the hills, sourced from gamekeepers, will also be on the menu for some of the seven charities that the groups have been working with. One of the beneficiaries will be Aberdeen homeless charity, Aberdeen Cyrenians, which has helped around 50,000 people who are either homeless or at risk of losing the roof over their heads. The city charity, which runs homes as well as offering street alternatives, is set to receive easy cook ‘Game for Giving’ bags of pheasant or partridge plus vegetables and mince pies. The free-range meat is prepared for cooking by royal warranted HM Sheridan Butcher in Ballater and Sinclair’s Catering in Edzell. Game will be supplied to several Grampian branches of the family support charity, Home Start, as well as Aberdeen Cyrenians and CFINE, a social enterprise which distributes affordable healthy produce and operates a food bank. In Angus, beneficiaries include community wellbeing organisation Voluntary Action Angus, support hub and charity Brechin Community Pantry and Montrose’s Christmas Community Meal. Advice and accommodation charity, Transform, in Dundee will also receive the festive offering. The game parcel concept has already proved a hit with previous recipients. Leah Bruce, of the Deeside and Donside branch of Home Start said: “We could not be more grateful for the hard work and effort of the groups, the butchers and chefs involved. When we first received the game parcels, we set up an online community with cooking tips and recipes and the response we received from the families was incredible. It has been a huge success.